The presiding judge - Justice Rilwan Aikawa called the application "bizarre and a misuse of court processes" insisting he would by no means frustrate the investigation currently being carried out by the Metropolitan Police in the UK. Yesterday, the EFCC filed a counter-affidavit opposing the application alleging that it was a ploy to escape the Metropolitan Police's investigation. One of the EFCC's operative Usman Zakari in the counter-affidavit said Diezani declined all invitation to explain her role in the Fraud case but instead absconded to the UK. He said: "That the applicant, seeing that the investigation by the Metropolitan Police had reached advanced stage and that the trial in the instant charge before this honourable court is proceeding smoothly, had designed the instant application to distract and scuttle both her investigation and imminent prosecution in the United Kingdom the trial before this honourable court." 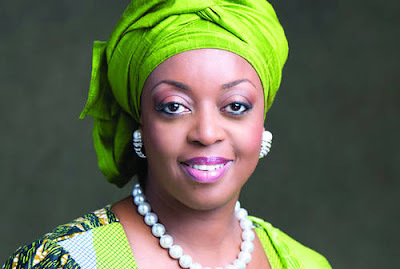 Diezani is currently on bail in the United Kingdom and isn't allowed to leave pending the closure of the investigation for several financial fraud crimes.